Hervé Marchet is actually focusing on his investment fund portfolio by helping his partners in these start-ups to get better organised as they mature their businesses. Acting mainly as Chief Digital Officer and Business Development Director to support companies growth. Located mainly in Dubai, but traveling a lot to Paris and London, Hervé is enjoying the dynamic of being truly international and polyvalent. Just before, Hervé was the Group CTO of GEMS Education, the world’s leading provider of quality K-12 education, where he learned a lot about entrepreneurship and fast moving companies. Hervé also spent 12 years at Apple, he was EMEIA Director and a member of the European Leadership Team reporting directly to the VP & GM of Apple EMEIA. Hervé was leading the sales & marketing as well as the business development of Apple in Europe, Middle East, India and Africa for the Education markets. Education markets include B2B (Schools, Universities, Research) and B2C (Teachers, Lecturers, Students). 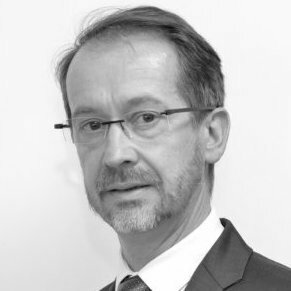 As an autonomous executive with a successful career in sales, operations, marketing and team management, Hervé has been an expatriate for more than 15 years (USA, SA, UK, UAE), and his extensive international experience makes him a business leader with a strong multi-cultural touch. Before joining Apple, Hervé was Managing Director of the Latin American division of Packard Bell NEC and was responsible for the Operations, Sales and Marketing of the territory, based in the USA. Previous to his work at Packard Bell NEC, Hervé was the Sales Director of Zenith Data System for the account “French DoD”.